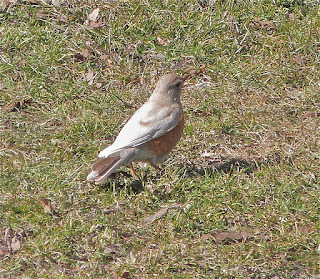 I photographed this American Robin in Central Park on Feb. 17th, just west of the reservoir. It may be the most unusually plumaged of that species I've seen. I may see if I can find it again - it certainly stands out well.